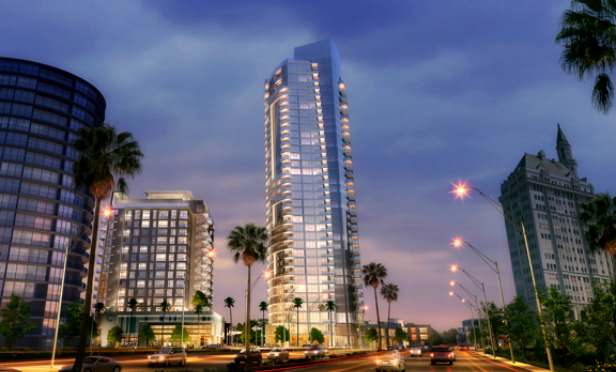 The multifamily market in Long Beach has grown rapidly in the last five years, and now, the tallest luxury high-rise in the market is on its way. The Long Beach multifamily market has grown rapidly in the last five years. It has become model live-work-play environment and has an apartment construction pipeline of 2,500 units to meet the growing demand. Now, a new milestone for the growing market: a new luxury high-rise property. Ledcor Properties and Anderson Pacific LLC have broken ground on Shoreline Gateway, the second phase of the Current, the first high-rise apartment community under construction in Long Beach since 1966. The project illustrates not only the growing demand in Long Beach but the changing demand as well.